Bright red tomatoes; hearty sweet, red, and white potatoes; fragrant peaches, apples, pears; juicy grapes; and so much more. 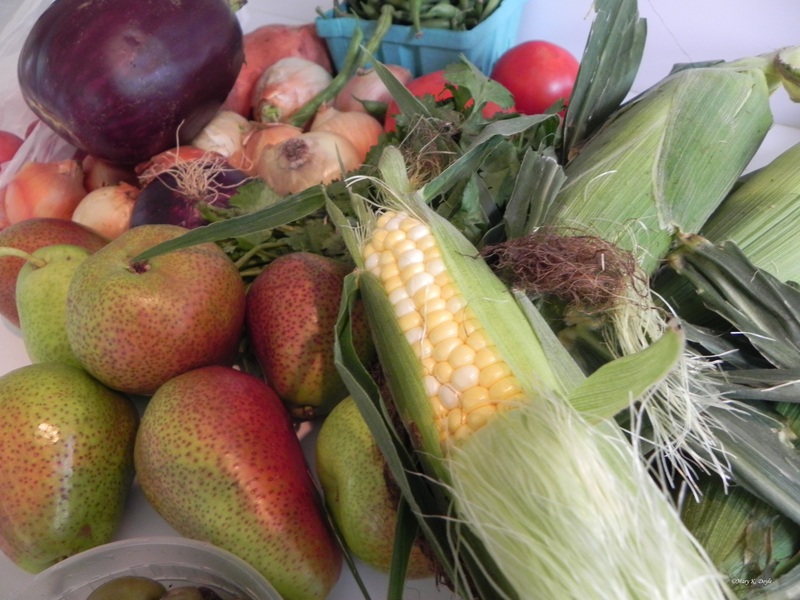 In spite of this summer’s drought, produce currently is abundant at farmers’ markets. Shopping your local market is good for the environment and good for you. If you have one close to you it’s worth checking out. The one in my town is a French Market, which means there are other vendors besides those selling produce. Soaps, scarves, handbags, jewelry, cheeses, olives, meats, eggs, flowers, handcrafts, and other items also are available. It’s a great place to pick up a gift along with the groceries. But of course it is the produce that takes center stage. 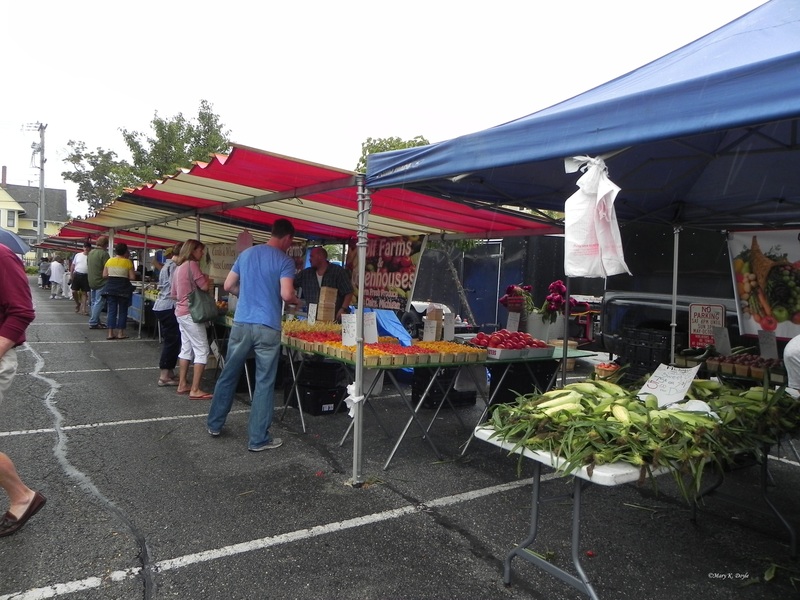 Our French market features three main farms. Two are from Michigan but one, Windy Acres Farm, is actually located only a few miles from my house. The family owned business is so close it is as if the fruits and vegetables truly are (my) home-grown. I often purchase items picked that very morning. You can’t get fresher than that.